Chairman of the Gilgit Baltistan United Movement, Mr. Manzoor Parwana, has been arrested by Pakistani security forces without obvious charge following a speech to the Balawaristan National Students Organisation, Gilgit City. Manzoor Hussain Parwana, the Chairman of the Gilgit Baltistan United Movement has been arrested by Pakistan Rangers, FC and Gilgit City Police commandos after his speech in the convention of Balawaristan National Students Organization on 28th July 2011. He was already framed in sedition charges by the occupation regime of Pakistan, because he was exposing Pakistan Forces and their intelligence agencies’ illegal activities in Gilgit Baltistan, a newly created province of Pakistan. It is reported that Mr. Manzoor has been taken to Inter Services Intelligence service (ISI) Centre at Sonikote Gilgit, where he will be interrogated by ISI, MI and other forces. It is obvious that he will be tortured and will be framed in any fake case to malign the nationalist movement in this disputed area, so the attention of arrest of ISI agent Ghulam Nabi Fai by FBI in Washington is neutralized. Mr. Fai was arrested in the USA on the charges of being a spy of Pakistan. 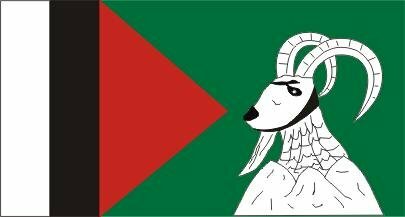 Gilgit and Baltistan are treated as Pakistan occupied areas, where pro-Pakistani political parties and religious parties are free to address the public while nationalist parties who oppose the Pakistani occupation are under serious threat and their right of speech and free movement and political activities are restricted by all cruel acts. In the last elections of 2009 for the so-called empowerment package, the candidates of GBDA (Gilgit Baltistan Democratic Alliance) were arrested and some were sent exiled by force, while the pro-Pakistani parties were freed to right on their will. We appeal for his immediate release and the withdrawal of all charges against him. The people of Gilgit and Baltistan should be allowed ascertain their right of self determination. We also appeal to the UN and Human Rights organizations to take urgent action to save his life.